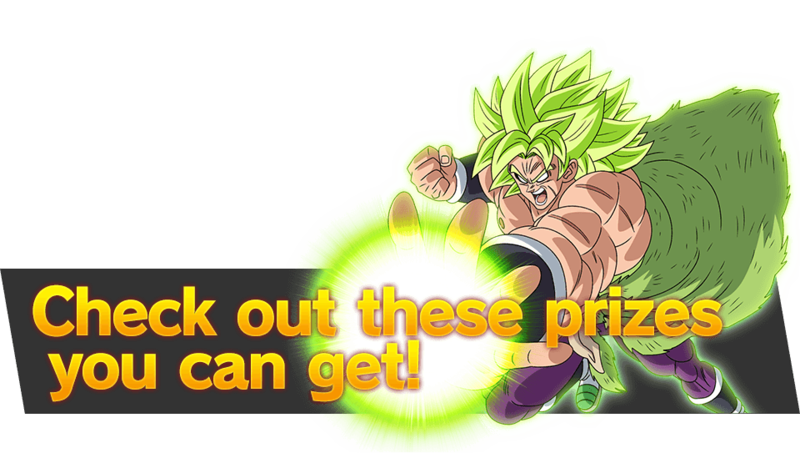 Exhibition EventTo celebrate the launch of the new Broly movie, we're launching an exclusive DBS: Broly Pack promotion! There are three different types of DBS: Broly Promotion Packs to collect! Let’s look at how you can get your hands on each one! Players who visit their friendly local brick and mortar game store and purchase 12 Series 6 Boosters in-store will receive a DBS: Broly Pack Vol. 2! *DBS:Broly Pack vol. 2 comes in five types, each containing one card. *Each pack includes one of five cards selected at random. *Please confirm supplies with store in advance when purchasing. Stay tuned for how to get your hands on DBS:Broly Pack vol.3!! ① Bring a friend! Unleash Broly's true might! A product purchase promotion that rewards you and a friend! Step 1: Bring a friend to your friendly local brick and mortar game store. Step 2: Buy two starters and six boosters during the promotional period (1/11-2/28) to play! Step 3: Each of you will receive DBS: Broly Pack Vol. 1 during the promotional period! *All pack contents are identical. Two cards are included in each pack. *Please confirm supplies with store prior to purchasing. *Promotion is subject to change without notice.